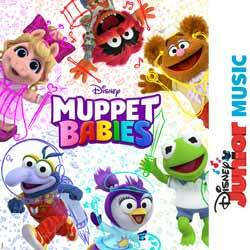 For young Muppet Babies fans, the Disney Junior Music: Muppet Babies will be a fun album... I say "album", but at under 20 minutes it's more an EP. While the humour is strong enough to appeal to adults too, it's also the sort of album that will get annoying really quickly once your little one decides to play it on repeat day and night. For those who love the show, these bite-sized songs from the episodes will be warmly embraced. Who could possible not love 'Me and My Potato' or 'How to Grow a Rubber Chicken Tree'?